The quote was attributed to Lewis Grizzard, who credited the statement to the Murphy Brown television show. Whatever the true source, the quote speaks to me. I am constantly amazed at the number of people with college degrees, and even advanced degrees, who fail to consider others when making decisions. I will never understand people who constantly reschedule because they can’t manage their own calendar. Most of all, I am generally confused by people who are rude or insult others while doing their best to turn my words against me. None of those behaviors are productive and therefore make no sense. 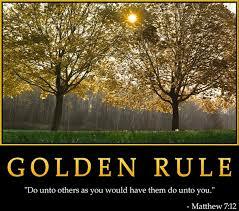 Common sense is simple, and it is based on the Golden Rule: do unto others as you would have them to do unto you. And while I wish more “educated” people followed it, I am incredibly appreciative of all the people who do. Posted on May 19, 2014, in My life, perspective and tagged 365 reasons to smile, behavor, common sense, faith, life, musings, perspective, smiles, The Golden Rule, Thoughts. Bookmark the permalink. Leave a comment.